As people age or get ill, it is an unfortunate fact that mental ability starts to decline. In most cases, people may not be as sharp, but they will remain sharp enough to take care of their own affairs. But sometimes, whether due to injury or disease, the ability to make basic decisions about someone’s own affairs, deteriorates. When that happens, family may have to make the unpleasant decision whether or not a guardianship is needed. In the large majority of circumstances, guardianship can be avoided. Advance directives, such as a durable power of attorney and a health care surrogate, greatly reduce the need for guardianship. The use of revocable and irrevocable trusts also eliminates the need for guardianship most of the time. In the event a guardianship is needed, Florida allows individuals to designate guardians for themselves in advance, using a document known as a preneed guardianship. Utilizing a preneed guardianship helps ensure that a person’s first choice of guardian is appointed should the need for a guardianship arise. If a guardian is appointed, that guardian can handle the affairs of someone who is not capable of doing so themselves. The guardian can make decisions about finances, sign documents, handle property and even make fundamental civil rights decisions, such as giving permission for the incapacitated person to marry. Appointing a guardian can be difficult for a family, even if the person needing a guardian (the “ward”) has designated guardians in advance via a preneed guardianship. The incapacitated person may believe themselves to be competent enough to handle their own affairs and may resist the guardian’s appointment. And family may be hesitant to admit that their loved one has declined. But guardianship can be important in preserving the assets of the ward if other methods have not been utilized. A person that is legally competent can make or alter wills, trusts, and estates. That means that like you or me, they can make decisions as to property even where, due to their condition, those decisions may make little financial sense, and may even go against what family believes to be in their best wishes. 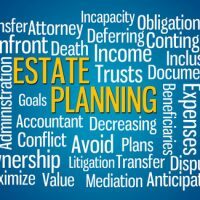 Chaos and litigation can ensue, as family members argue that changes to estate documents were made by someone who didn’t appreciate what he was doing, even though he was legally competent. Proving that someone didn’t have the capacity to alter an estate document after they’re gone can be impossible. Someone may even spontaneously marry, and by doing so, alter the inheritance rights of relatives. A recent case dealt with just this issue. A man was declared incompetent by a court, and a guardian was appointed. The man was not able to marry without permission of the guardian, but he did so anyway. The guardian filed to have the marriage annulled, given that it violated the court’s order requiring the guardian’s permission. The court ruled that Florida law does allow a court to restrict the right to marry in certain circumstances, including guardianship. The court annulled the marriage (the Florida Supreme Court may decide differently on this case). Had there been no guardian in this case, the marriage would have been binding. In such a situation, the spouse would be entitled to all rights that a spouse legally has to inherit property, regardless of how long the marriage was. Although the case cited above did not necessarily involve bad behavior on the part of the person who married the ward,, it is not uncommon for those who are incapacitated to be taken advantage of by others, who may try to get the mentally infirm to marry them or contract away their rights to property. The existence of a guardian can make sure that such transactions are legally void. Protect your assets and plan your estate carefully. Contact Tampa business attorney David Toback to discuss a comprehensive estate and asset protection plan.